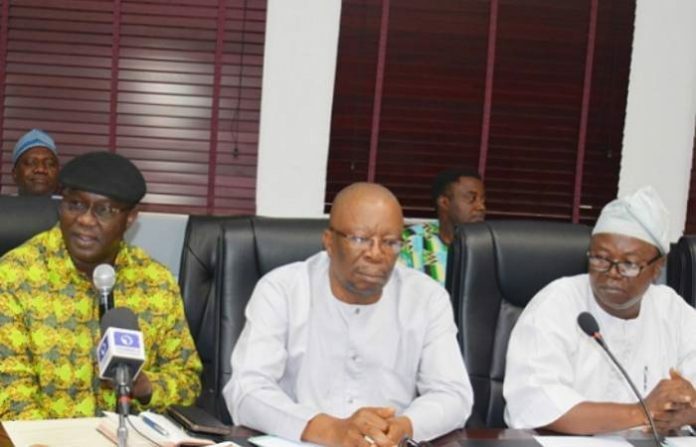 ASUU and FG resume negotiations today over strike – In an effort to end the continuous strike set out on by the Academic Staff Union of Universities (ASUU), the minister of labour and employment, Chris Ngige, will hold another appeasing meeting with the head of the association today. The lecturers begin an inconclusive strike on November 4, 2018, requesting enhanced financing of colleges & fulfillment of past accord with the authority. The appeasing talk is booked to hold at the federal ministry of labour and employment. The gathering is planned for 3:30pm. Review that the talk between the authority & heads of ASUU, on Friday, finished without a decision on the strike. The talk was then postponed to February 7. Before last Friday’s talk, no less than 8 different talk has been held between the 2 groups. Talking with reporters on Friday, the national leader of ASUU, Biodun Ogunyemi, said the association won’t impart the result of the talk to reporters until he speaks with his individuals. Ngige, notwithstanding, asserted that every one of the requests of the associations have been met. “But we will offer something reasonable which they are taking back to their members,” he stated. Although the 2 groups declined to give a particular information of what was deliberate on in the talk, Thursday’s talk will reveal more insight into the situation of the association on the strike. A noteworthy matter hauling the bargaining forward & back is the “revitalisation” of the colleges. At present, the auhtority is yet to discharge the N1.1 trillion it consented to discharge as a major aspect of the funds for the work. The 2013 MoU stipulated that state funded colleges need N1.3 trillion for ‘a modest revitalisation’. The money was to be discharged in tranches of N200 billion in 2013; N220 billion 2014; N220 billion 2015; 220 billion in 2016; N220 billion in 2017 & N220 billion in 2018. The Goodluck Jonathan administration discharged N200 billion in 2013. From that point forward, no real huge amount has been discharged.